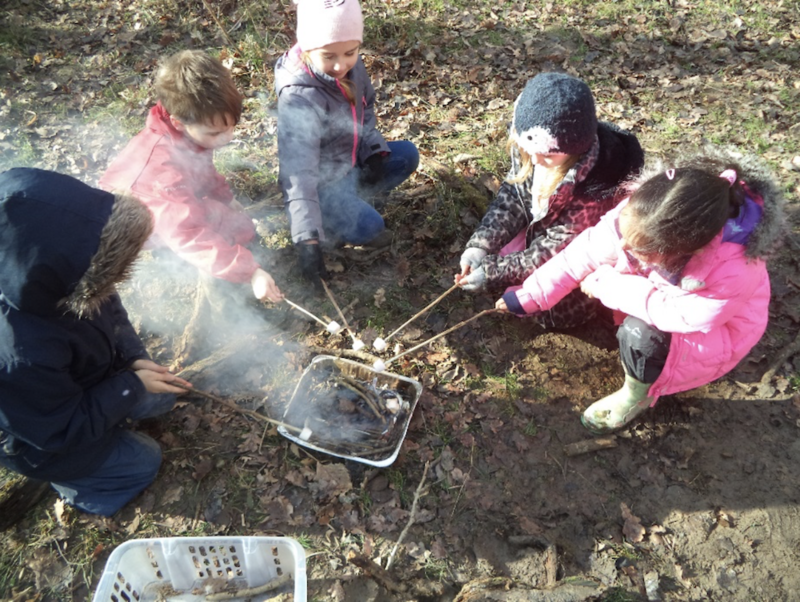 Learning in the outdoor environment is part of the Forest School curriculum at Nutley Church of England Primary School. Outstanding, that’s the verdict of diocesan inspectors on Nutley Church of England Primary School following a visit there last month. 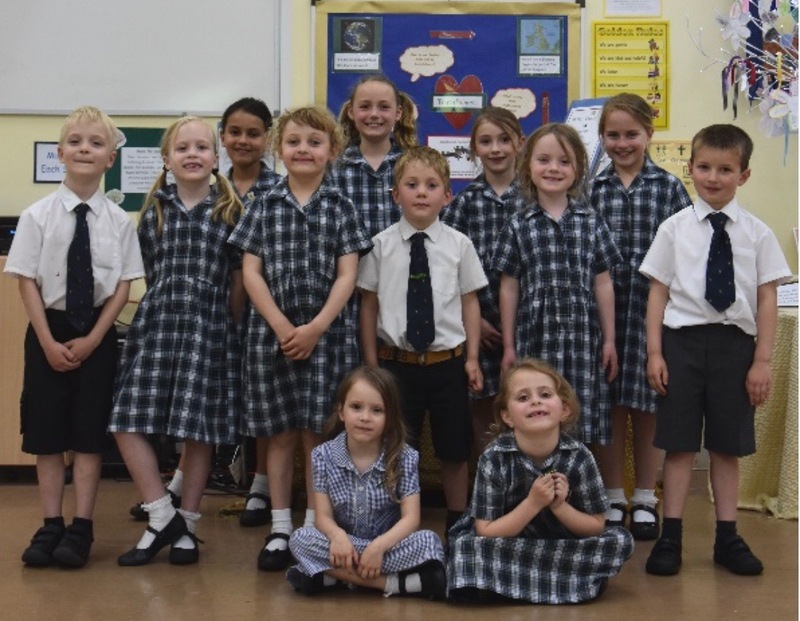 Pupils feel valued, happy and secure, they have deep understanding of the gospel values of thankfulness, compassion, perseverance, kindness, forgiveness and trust, and their behaviour, attendance, safe-keeping, personal development and academic achievement is “exemplary”. Members of Nutley Primary School’s faith council who “play a central role in organising, leading and participating in daily worship”. Headteacher Liz Peasgood who joined the school in September 2016 is described as having passionate commitment, actively supported by all staff and governors, to continuing development and celebration of the school’s Christian faith foundation. The chair and vice-chair of governors are said to have a strong presence in the school, leading with integrity, expertise and a breadth of skills and consistently good to outstanding progress is being achieved with whole school priorities. The curriculum is said to be broad, balanced, rich and stimulating, engaging pupils in a range of activities that promote high levels of academic, personal, spiritual, moral, social and cultural development. 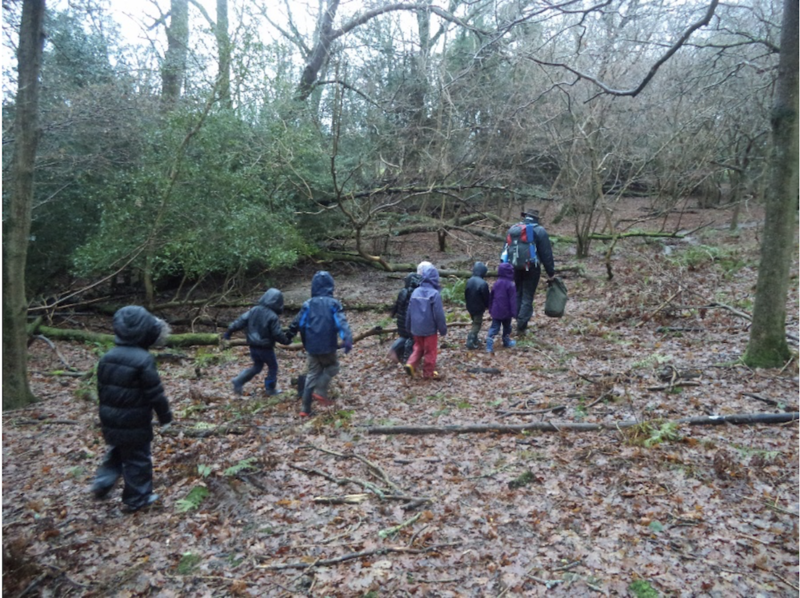 Children head out to learn about the natural world. The inspectors’ report says: “An inspiring portfolio of photographs on the website, parent newsletters, interactive classroom reflection areas and vibrant corridor displays reflect and celebrate the breadth of learning that all pupils experience. “Pupils attainment is at, or above, levels expected for their age, with all pupils, including the most vulnerable, achieving success in their learning. “Pupils consistently show great concern and care for the world community, reflecting the clear relationship between belief and personal and social behaviour. Nutley Primary School children having fun while working together outside. “Pupils receive a range of rewards for their achievements and behaviour, including recognition of ‘Random Act of Kindness’ in family-attended celebration worship. 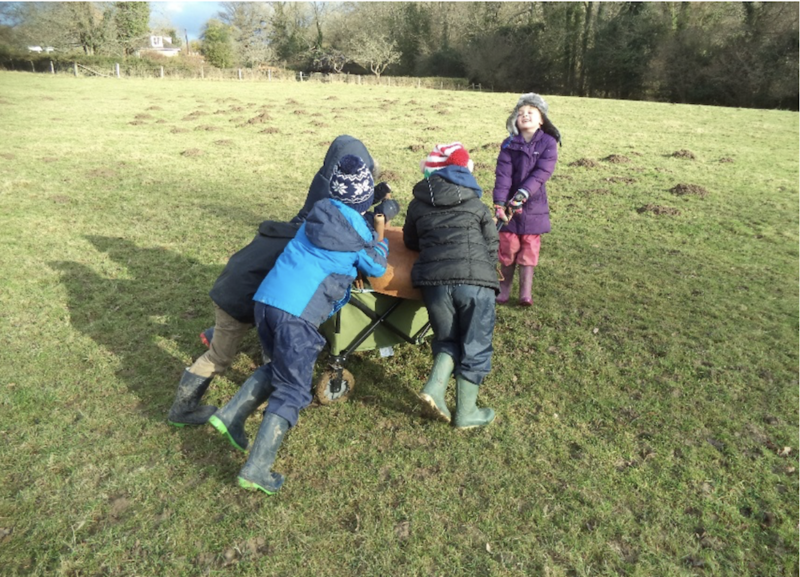 The school’s Forest School curriculum – which makes the most of the outdoor environment – successfully led by a volunteer parent governor, is also singled out for praise as fully engaging pupils in a range of social, scientific and technical skills, purposefully building their independence and self-esteem. • Ninety-four children are on the roll at Nutley Primary School and there are places available in Reception for September 2018. 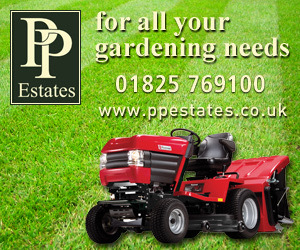 Please contact the school on 01825 712575, or by email office@nutleyce.e-sussex.sch.uk, if you would like to visit.